At Bourn Hall Clinic, the quality of medical care delivered to every patient matters to us. Our focus is always on providing the best possible chance of becoming a parent for all our patients. We are committed to technical excellence in treatment and exceptional patient care services. 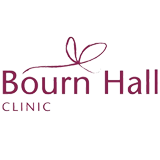 We adhere to Bourn Hall UK's high quality standards in all our clinics. Our staff training, audit and performance management ensure that we uphold those standards and ethos and deliver the best possible treatment and patient care. Dr. Mohamed Elkhouly MBBCh , M.D.